In Victorian times conservatories tended to be glass structures built onto large country houses designed so that wealthy travellers could admire and protect tender plants brought back from their overseas trips. The exotic nature of plants such as orchids was reflected in the increasingly ornate nature of the glass structures. This resulted in competition for the most diversified plant collection and also the most elaborate buildings. As citrus trees such as orange and lemon were included in the vast collections, the less than humble conservatories became known as Orangeries. In the search for more individuality in conservatory design, it is no surprise that the home improvement industry has gone full circle and turned back to its origins to provide the modern day version of Victorian style Orangeries. Modern PVCu and hardwood Orangeries reflect a bygone age with period features such as sculptured pilasters, ornate fascias and deep internal skirting boards. Modern technology compliments the traditional features of Orangeries by providing water tight flat roof areas and engineered roof systems. Sophisticated glazing systems not only protect occupants from harmful ultra violet rays and solar heat gain but are also energy efficient. 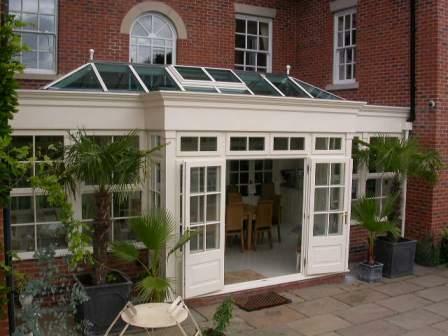 Making Orangeries the ultimate luxury in home extensions. Orangeries can be designed with stone or brick pillars, together with individual windows installed between them in order to follow the design theme set by your home. A deep external fascia hides an internal plaster boarded flat roof section which is ideal for installing chrome or brass down lights to illuminate Orangeries during the evening. The style of Orangery which homeowners eventually decide on is dependent on personal choice but really ought to suit the property in terms of style and size. 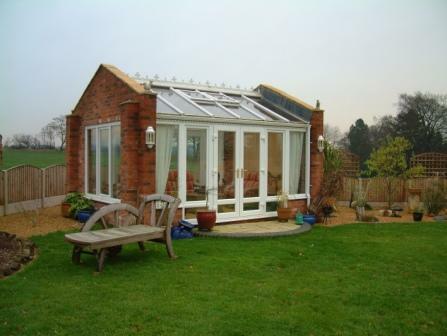 Orangeries also needs to suit your budget. 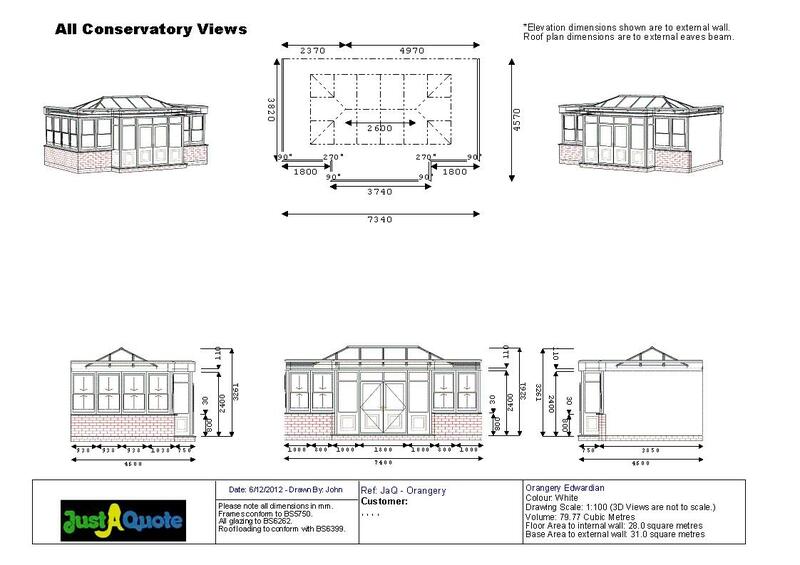 We take the view that Orangeries should appear as though they was built at the same time as the host property. In that way, Orangeries appear to be a credible part of the overall design of the house, whilst also being in harmony with the garden. There are a number of orangery roof companies which manufacture well engineered and well-designed conservatory roofs but at Just a Quote we tend to work with just a handful of them. Our installers can go into much more detail during a survey but you can guarantee that all of the companies we introduce you to will have taken into consideration that in the United Kingdom most Orangeries, during their first ten years will have had to cope with almost 30 feet of rainwater, 200 days of snow, and 3,650 days of temperatures ranging from 10º or 15º below freezing to, well at least sometimes, a hotter than average 35º. A surveyor introduced to you by Just a Quote can help you to decide not only on the style of conservatory or orangery which is right for you and your home, but will also help with the types of window and door, the levels of ventilation and insulation required and will offer other advice from planning permission to pricing. They can even produce scale CAD drawings and a superimposed image of conservatories and Orangeries onto a photograph of your home. Surveyors will advise on the use of casement windows, tilt and turn windows or sliding sash windows combined with single doors, double doors, sliding patio doors or bi-fold doors. 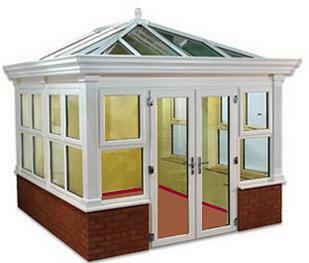 Appropriate conservatory glazing should be specified and additional ventilation can be provided by either manually or electrically operated roof vents or proprietary ventilation systems which some manufacturers have designed into their roofs in the ridge and in the eaves beam. A modern interpretation of traditional Orangeries is the Orangery Style Conservatory which is much less expensive than a traditional Orangery. Orangery style conservatories combine the traditional features of Orangeries such as deep fascias, ornate corner posts and pilasters with the ease of build and reasonable prices of conservatories. Designers of Orangeries also take into account the aspect of the orangery, as north facing Orangeries may need more insulation and south facing Orangeries more ventilation. Additional protection from Orangeries overheating can be designed in, by recommending heat reflective polycarbonate or anti-sun glass in the roof. The intention is to ensure that all conservatories and orangeries are designed to be usable throughout the whole of the year. 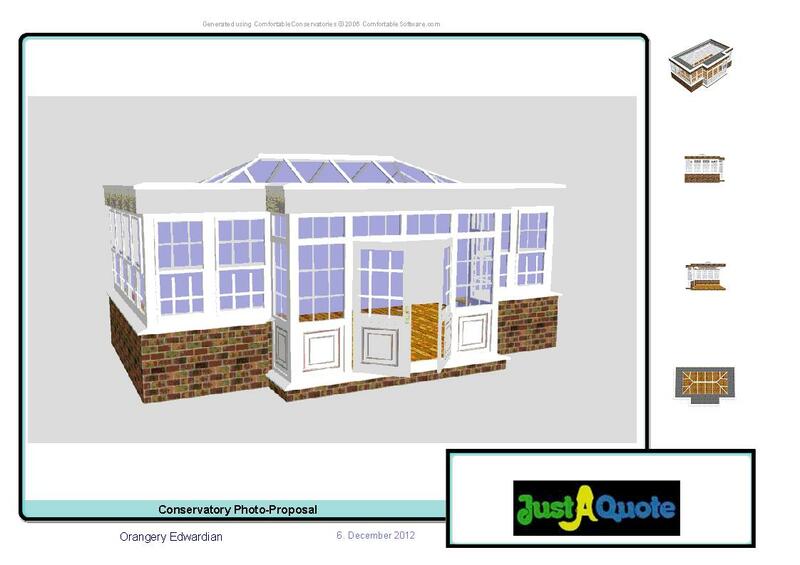 Just a Quote conservatory surveyors offer a CAD design service for Orangeries and the following illustrations show the original design as a six image view, a computer generated image and the finished Orangery as it was built.